Our best soundtrack tournament continues with two new titles. 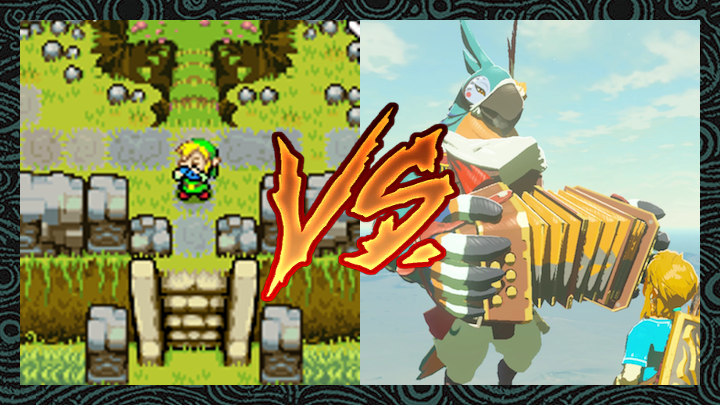 As A Link Between Worlds and Ocarina of Time duke it out in yesterday’s poll, The Minish Cap and Breath of the Wild step into the fray. The Minish Cap had no problems winning its first tournament bout and moving on to the Quarter-Finals. Beating Oracle of Seasons by over 100 votes, this beloved GBA game proved that it has a soundtrack to be reckoned with. The Minish Cap‘s OST is a well-rounded gem, as charming and memorable tunes can be heard all throughout Link’s adventure. Breath of the Wild‘s soundtrack may have its detractors, but that didn’t stop the latest Zelda title from besting Tri Force Heroes and earning a spot in the Quarter-Finals. Many fans spoke out in defense of this OST and shared about the many beautiful, original, and outright epic compositions one can hear while exploring the wide-open kingdom of Hyrule. On Friday, we will post a wrap-up article explaining the results of this week.